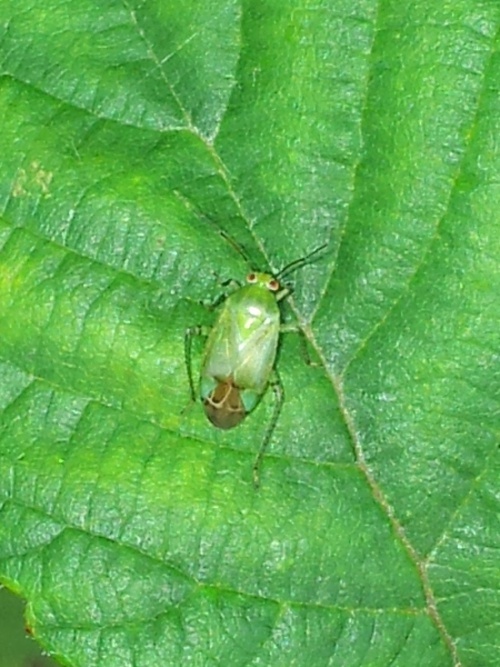 Length 5 to 6 mm. 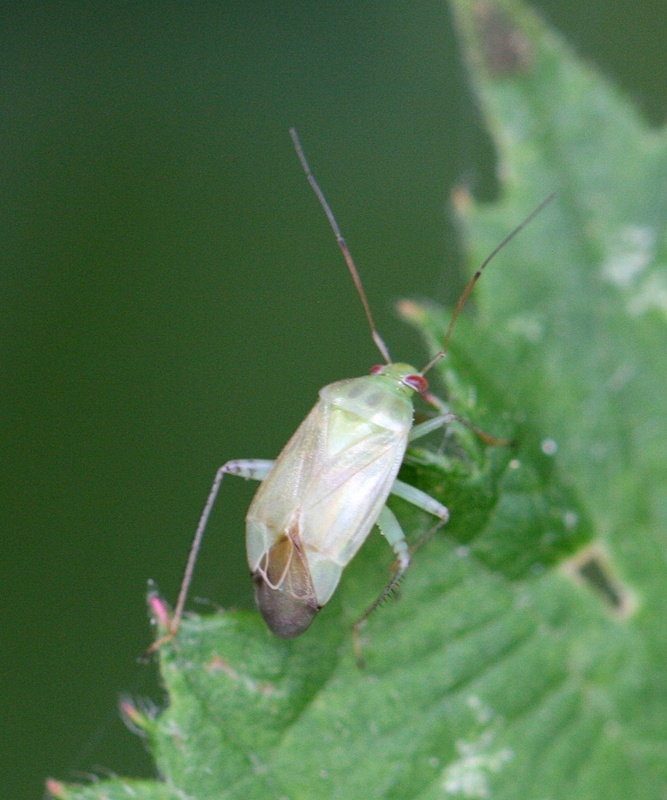 Separated from the similar A. lucorum by the paler ground colour and by the cuneus, which is black at the extreme apex. 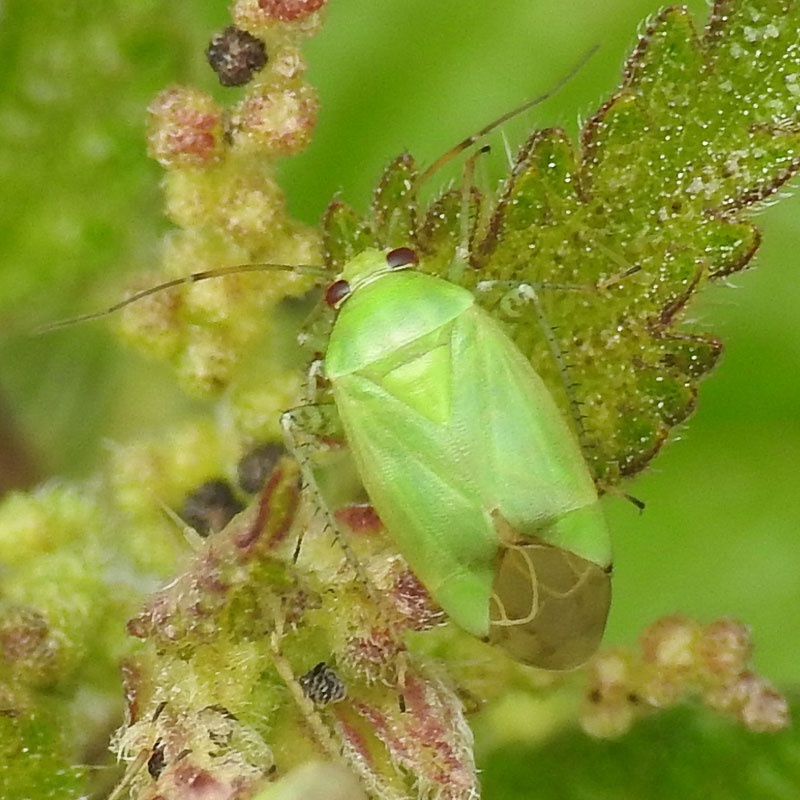 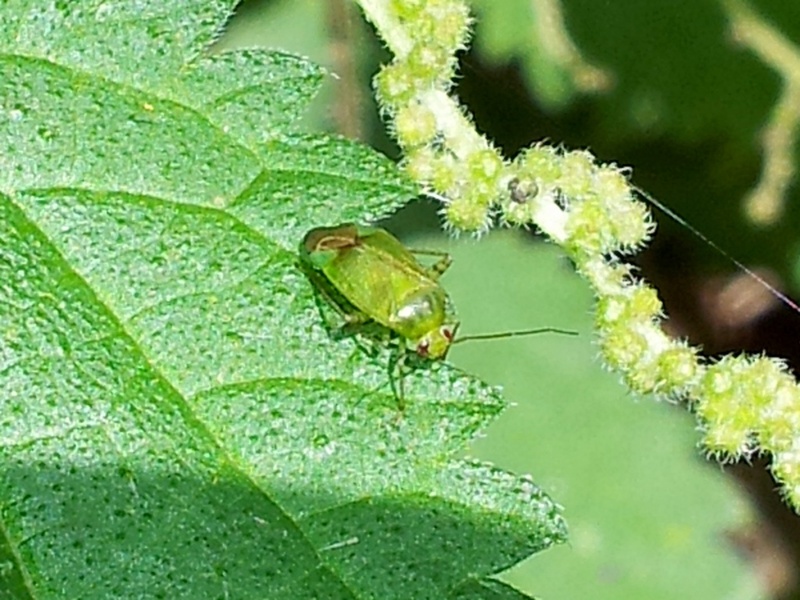 Apolygus species are green and rather broadly oval in shape. The black tibial spines do not arise from black spots and the 2nd antennal segment is usually shorter than the width of the pronotum at the base. 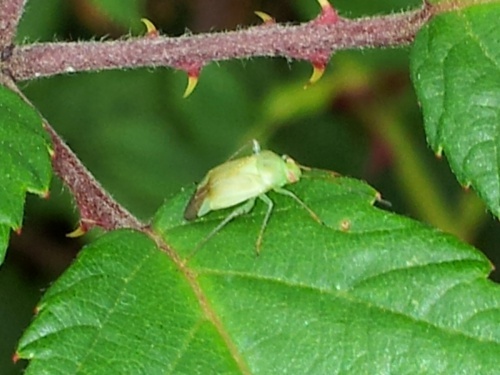 Found on a range of plants including creeping thistle, meadowsweet, nettle, bog-myrtle and particularly bramble.